The article shows the railway timetable significance which may serve for a Żeromski biography researcher. They can be viewed as a valuable source, allowing, inter alia, to complete (and in some cases to rectify) the information found in Żeromski’s letters written during his first trip to Switzerland. The analysis of timetables also sheds new light on the origin of Ludzie bezdomni (Homeless People) and it also shows how important role in the characteristics of the novel’s characters are played by somatic sensations. The novel opens with a scene which exhibits the distress of Tomasz Judym’s looking for shadow and cold in a torrid afternoon. High temperature is also felt later when, having returned from Paris to Warsaw, he decides to visit home and his brother. The presentation of Judym’s brother’s wife fictional trip to Winterthur involves the experience of both: the writer and his wife Oktawia. Żeromski in his novel with naturalistic pedantry sticks to railway reality of which he learned travelling to Switzerland. Quite distinctly, he moves away from that reality in the scene of Judym’s brother’s wife unsuccessful train change while her travel to Switzerland in order to intensify the significance of the picture of the trip hardship meaning which he himself experienced as a seriously ill man. The study analyses stage song’s lyrics by an eminent poet Jerzy Ficowski, an effect of his minor and gainful creative activity, yet important as a set of pieces that belongs to Polish People’s Republic popular culture mainstream. It presents the institutional aspect of composing and distributing of song, the problem of the text’s corrections and the authorship liquidity resulting from market expectations. Attention is paid to the myths and life models included into the songs, themes of love, gipsy and city, as well as the cases of restrain and squeezing the songs’ plots from the stage circulation due to political reasons. The theoretical part includes investigations into the song’s peculiar rhetoric, and offers linguistic-pictorial concepts present in Ficowski’s lyrics. The distinctive rules of song production and the song reception is given against the background of the author’s exclusively poetic creativity. The article takes into consideration referring to the connections of two fundamental features of creativity of Hanna Krall, a reporter, who narrates about the Shoah, as the connection proves vital to attempts at characterising her field of activity and at understanding literary output. Both a report (broadly understood as a literary genre, writing method and even realisation of ethical stance) and the theme of extermination impose on her certain requirements and limitations. Not only being a match for them, but first and foremost transgressing them for great literature determines the specificity of her creativity. Looking at the problems, the author of the article strives to analyse and interpret the text Powieść dla Hollywoodu (A Tale for Hollywood) from the collection Hipnoza (Hypnosis). Included in it reflection over her own field of activity allows to regard the report as a peculiar kind of programmatic manifesto formulated in the initial phase of her writing about the fortune of the Jewish people. The article is an interpretation of Bolesław Prus’ Katarynka (Barrel Organ). The novella is viewed here through the prism of human sensual experience: sight, its absence, hearing, and above all – touch. Constrained by sight is Mr Tomasz, whose perception of the world is paradoxically scanty due to his sight-centrism. It is, however, the case only to the moment he discerns the novella’s second protagonist, the blind girl. The girl can be observed in the process of losing her sight and her adaptation to the new, painful situation. She realises that she is no longer a sight-centered subject experiencing the reality to which she was so much attached. The mirror placed in the title of the article plays the function of a leading motif due to which we may observe the changes of the subject perceiving the reality in Prus’ novella. To add, an important role in the novella’s interpretation is played by the problem of spatiality – the change in perceiving space after the loss of sight. In sum, the considerations, licensed by the text’s interpretation, lead to the conclusion about the writer’s great empathy and psychological knowledge. 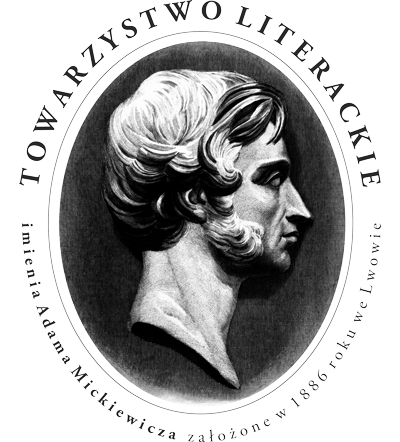 In the article the author refers to the thoughts by, inter alia, William James, Jean-François Lyotard, Eugène Minkowski, Julian Ochorowicz, Jan Władysław Dawid and Bolesław Prus himself from his Wędrówka po ziemi i niebie (Travel on Earth and in Heaven). The article shows that science-fiction writers oftentimes resort to the myth of progress due to which their creativity tends to be seen as a fictionalised form of reflection over the possible forms of civilisation development. Most often the writers for the most part limit their visions to axiologically ambivalent images of future subjected to the dictate of omnipresent technology. At times, of which dark future pieces of literature is the evidence, the technology itself becomes the cause of fall of human societies. In the stories included into the trend, the motif of extermination is a self-contained value, the novelists often reach for the motifs of threat rooted in technology only for enjoyment. As a result, the pieces are first and foremost a source of escapist play due to which social and civilisational fears of humanity are made real and degraded. The subject of the article is the literary motif of inscription written into the space of house and its peculiar functionality in Erasmus of Rotterdam’s texts from Convivium religiosum and in Winfried Georg Sebald’s Austerlitz. The problem of relations between spatial form and the phenomenon of writing/reading is subject of spatiological research. Within its scope, relatively little attention was paid to the motif of inscription or space perceived as inscription, thus resort to the tools and theses developed on the ground of modern epigraphic studies may prove fruitful. An analysis of the function of the motif in two chronologically and culturally distant texts allows for delineating a continuous line of humanistic understanding of reading practice in modern culture. The article was inspired by many years “literary investigation” into the case of Maria Sadowska née Brzezina carried out by Juliusz Wiktor Gomulicki. However, the paper is not a bibliographic-biographic supplement to Gomulicki’s article Dokumentacja “ostatniego romansu” Norwida. Listy Marii Sadowskiej (Documentation of Norwid’s “last love affair”. 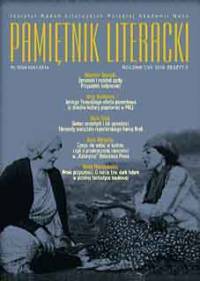 Maria Sadowska’s Letters <“Pamiętnik Literacki” 1983, issue 4>), but rather an attempt at a literary studies reflection on the forgotten woman writer’s prose output. A key to solve the riddle of Maria Sadowska née Brzezina seems to be literary genetic identity of the humoresque, her favourite literary form. The literary genetic perspective adopted in the thesis, referring to European tradition of the genre and to theoretical statements by Sadowska herself, allows for discerning in the humoresque a piece situated on the interface of styles and epochs: a leading genre in the Biedermeier reveals here its romantic roots, while its facetious tone shadows worldview marked by irony and tragicalness. Maria Sadowska née Brzezina, on the other hand, proves not only an intriguing woman writer, but also a representative of late Romantics generation. The publication contains Jakub Goldszmit’s 11 letters to Eliza Orzeszkowa: one dated 1881, three from the year 1882, two written in 1884, two in 1885, one from 1887, one from 1894 and one from 1909. Three letters dated 1881 and a comprehensive introduction to the collection was included into “Pamiętnik Literacki” (“Literary Memoir”) in 2015 issue 3. The correspondence refers mainly to “Kalendarz dla Izraelitów” (“Calendar for the Israelites”) issued by Goldszmit with Orzeszkowa’s statements about Jewish issues and other initiatives of Orzeszkowa and Goldszmit connected with the matters. The last three letters document the biography of Goldszmit, Janusz Korczak’s paternal uncle: his forced emigration from political reasons and settling in the USA. They also call for further research into the problem of American reception of Orzeszkowa’s creativity. The text reviews a monograph of Warsaw weekly “Izraelita” (“Izraelita” <1866–1915>; “Israelite” <1866–1915>) by Zuzanna Kołodziejska, the first comprehensive discussion on the most crucial Jewish integrationist circles periodical. 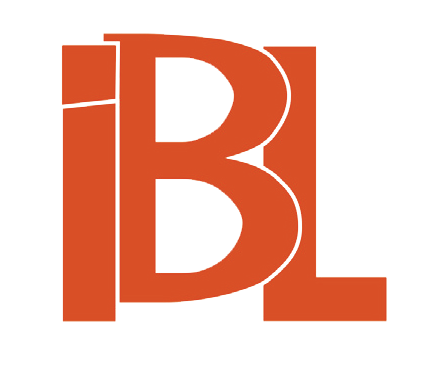 The book’s three main parts bring the characteristics of the press, political journalism analysis and – against its background – a presentation of integrationist Polish-Jewish literature published in the periodical in question. The text is a review of the book Formacja 1910. Świadkowie nowoczesności (Formation 1910. Witnesses of Modernity). The contributors to the volume pose the question about reasonableness of separating the generation of writers born around the year 1910 from the history of 20th century Polish literature. and Writers against Polish People’s Republic Censorship 1948–1958). The subject of the volume is the rules and practice of literary texts censoring, as well as authors’ strategies of avoiding it. The book, based on rich archive search query, offers a broad and complex picture of censorship activities and its influence over Polish literature. The text discusses Krzysztof Kosiński’s book Wiwisekcja powszedniości (Vivisection of Commonness). It is a pioneering presentation of Marek Nowakowski’s early creativity. 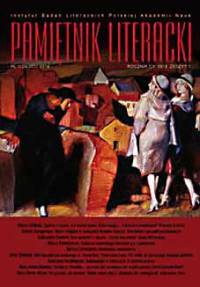 The review describes a collection of sketches Obraz literatury w komunikacji społecznej po roku ’89 (A Picture of Literature in Social Communication after 1989) edited by Andrzej Werner and Tomasz Żukowski. Presenting the individual essays included into the volume, the reviewer poses the question whether autonomy of literature against the system of mass media is possible. The text is devoted to a collection of Pier Paolo Pasolini’s essays published in Polish. The reviewer especially stresses the possibility of employing into Polish literature and culture research the term “genocide” which Pasolini understood as implanting the plebeian classes contempt for their identity, taking place as a result of broadly understood “hegemony” of elites. The text is a remembrance of the figure and academic achievement of Maria Podraza-Kwiatkowska, a lately deceased distinguished scholar, unmatched Young Poland literature and culture researcher, and an outstanding Young Poland poetry editor.